Northumbria University, in the northern English city of Newcastle, is a research-rich, business-focused center of higher education. It has 35,000 students, with a high proportion of those coming from overseas. @NUstudents is its student-focused Twitter account. The primary goal for the team at Northumbria University is to recruit course applicants, which they work towards by raising brand awareness among potential students in the UK. To achieve this using Twitter, they ran a website clicks or conversions campaign, with Website Cards designed to drive applications. Northumbria University targeted upcoming college students and potential mature students in the UK. Northumbria University tries variations of their messaging to see what works and then updates campaigns to build on what they have learned. Sometimes, they run the same image with different versions of the copy. At other times, they showcase the same message in different Tweets, but vary the copy and the image. "We find Website Cards particularly effective, because you can put a visual and a strong call to action along with the link, and you can include some extra text on the card." 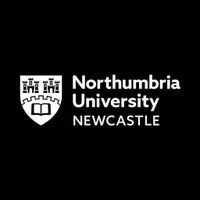 Northumbria University has found that their engagement rates are highest when they use the Tailored Audiences tool in Twitter Ads. They upload lists of existing prospects from their customer relationship management (CRM) database as an "audience" in the Twitter Ads dashboard, then advertise to that audience differently. They also use website tags to capture when Twitter users visit their website. Then, they remarket to those users on Twitter. The Website Cards for their remarketing campaigns take a different approach, with images and copy designed to show different sides of the university to prospects. When someone accepts a place at Northumbria, they receive a university hoodie. The university runs competitions in which they ask prospective students to upload selfies featuring the hoodies, then use these images in Website Cards. Visit our campaign resource centre to learn more about running Twitter Ads campaigns. Learn how to optimize Website Cards and App Cards in this ebook. Learn about website tags and how they work.